In the bioeconomy, the grass is always greener on the other side of a corporate repositioning, and we’ve seen the product and feedstocks fads roll onto the shoreline with numbing regularity. We had ethanol until there was biodiesel, and algae until there was jet fuel. Then, chemicals until there was Brazil, and drop-in fuels until there was methane. We had greenfields until there were bolt-ons, gene transformation until there was CRISPR. We had plastics until there was nylon, and fatty acids until there were polyketides. We had jatropha until there was miscanthus, soybeans until there was algae, and choice white grease until there was yellow grease. Corn was the answer until there was corn stover, wood was the answer until there was sawdust, and waste oil was the answer until there was MSW. Now, we have protein, which we always had, but now we talk about it more. Protein has become the answer to almost every question. How will you achieve scale? Protein. How will you make money? Protein. What will save the world? Protein. What are you going to talk about in your next presentation? Protein, protein, protein. 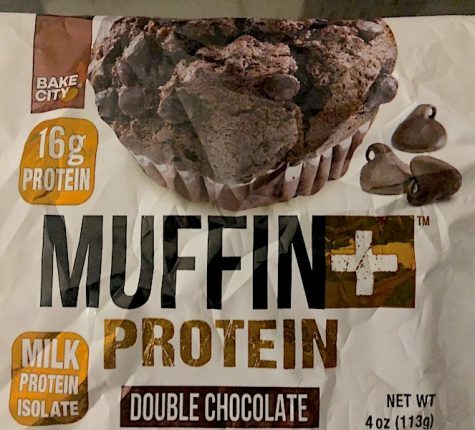 The extent to which Protein has become a Get Out of Jail Free card became clear to me yesterday when I spotted a chocolate muffin being hawked at our local 7-Eleven as “Muffin + Protein”. Now, I have nothing against muffins but let’s face it, muffins are not health foods, when you get down to it. We got a glimpse at just how hot the term “protein” has become when we saw Muscle Milk hit just about every trendy trend there is, in one product. With their plant-based, vegan protein shakes, that is. As we reported last February, CytoSport launched EVOLVE, the company’s first plant-based and vegan protein line. Containing no dairy, soy, gluten or artificial flavors, the line is made with pea protein sourced and manufactured in North America. Compared to other protein options, pea protein can be more sustainable, use fewer resources and require less fertilizer. And it used to be that farmers and consumers wanted “protein” included in considerations of biofuels policy. 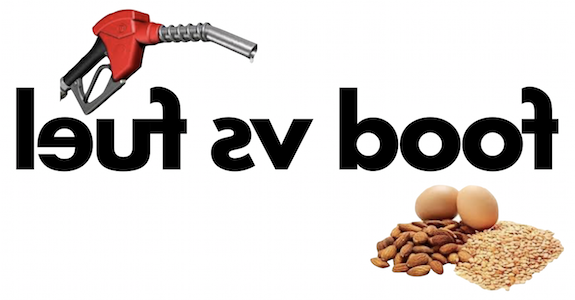 In fact, that was what “food vs fuel” was grounded in. Fear of that too many biofuels would result in too little protein, among other nutrients. Now, it’s reversed. We reported in February that European farmers are urging the European Commission to keep conventional biofuels in mind as part of the upcoming “protein strategy.” In other words, if we don;t produce enough biofuels, we won’t have enough protein. More on that here. The increasing importance of protein was driven home to us by Green Plains, the third largest US ethanol producer, when they tipped in their most recent corporate presentation that they plan to “divest select assets that are undervalued by the market or do not fit our protein and export strategy.” For Green Plains that makes quite a bit of sense because the company, best known as an ethanol producer, has become the fourth largest cattle feeder in the U.S., and its food & ingredients segment generated more than 60 percent of the company’s EBITDA in Q1 2018. Yet, it’s a sign of the times. And here are 15 ventures worth keeping an eye on in the evolving world of protein production. In January, we reported that Cargill announced its intent to grow and diversify its product portfolio at its starches and sweeteners plant in Krefeld with products such as vegetable wheat protein, specialized industrial wheat starches and advanced bio-fuel. Transitioning this site from a corn to wheat processing facility allows Cargill to add these products to its product portfolio and help customers address changing consumer needs in terms of nutrition, packaging and sustainable fuel. “Cargill wants to address the growing needs of its customers and the market – both in the Germany and across Europe – such as the increasing demand for vegetable proteins driven by a growing world population and the rising need for industrial starches used in packaging,” said Alain Dufait, Cargill Starches & Sweeteners Europe Managing Director. This intent to invest in the product portfolio at the Krefeld plant demonstrates Cargill’s support for the German economy and the German and European farming community. #2 Duckweed Redux: are duckweed’s ducks finally in a row for protein, fuels and more? In May, we reported that Greenbelt Resources Corporation and Duckweed DAYS commenced their inaugural Duckweed Project to commercialize the duckweed model developed by the Andrew J. Young Foundation. Tests conducted during a pilot program indicated that protein extracted from duckweed was one of the most nutritious vegetable organic protein with essential amino acids, and the bio-refining process was efficient, sustainable and economically viable. Greenbelt will expand and refine the preliminary system that was proven successful during AYF’s pilot program, in which they invested $1.2 million. The findings were reported to the USDA in 2017 in a feasibility study. Last June, we reported that ICM is rolling out a new product category for the US ethanol industry this week, a companion to ethanol, distillers grains, corn oil, and CO2. And, perhaps, a window into a future of a whole range of specialty products with higher pricing profiles. It’s called UltraMax, which sounds like something you’d pick up at a GNC as a diet supplement, and in many ways that’s a good way to start thinking about it. Last May, we reported that Qualitas Health unveiled a long-term partnership with commercial crop producer Green Stream Farms to triple its algae production to 45,000 pea-equivalent acres, achieving critical mass to become a sustainable omega-3 alternative, worldwide, at commercial scale. Fish have been the long-standing source for most essential oils like omega-3 fatty acids because they have obtained them from eating algae, the ultimate source of DHA and EPA. EPA is best known for its cardiovascular benefits, though it also has a positive impact on mood, skin and joint health. For some time companies in the algae space have spoken of “cutting out the middlefish” and harvesting omega-3s directly from algae instead of bioaccumulated in fish oil. For some in that quest, the issue has been yield and cost, for all there has been an issue of scale. Last May, we reported that Calysta had shipped more than four metric tons of commercially representative FeedKind protein for distribution to customers and partners globally. These samples will support market development in the European Union, the United States, Japan, Southeast Asia, China, and Australia. FeedKind protein is a family of natural, sustainable, and traceable feed ingredients for fish, livestock and pets that is being developed to help meet the world’s growing demand for food. FeedKind protein is a natural, proprietary, and competitively priced animal feed ingredient. It is a safe, non-animal source of protein approved for sale and use in the EU and has been tested on multiple species, including fish, livestock, and pets. FeedKind protein is produced via a continuous fermentation process of a natural microorganism, using the world’s only commercially-validated gas fermentation process. The Teesside plant has met its design parameters, including key commercial metrics such as yield and productivity. The facility has successfully maintained a continuous fermentation for eight weeks, and has produced over four metric tons of commercially representative FeedKind protein to date. In January, we reported that Flint Hills Resources will invest more than $50M in its Fairmont, Neb. ethanol plant to install a new technology that will produce a high protein animal and fish feed ingredient from a portion of the plant’s distiller grains, a co-product of ethanol production. The project is one of the largest investments in co-product upgrading technologies ever made by a dry mill ethanol manufacturer. If you think about it, millions of years ago, the plains of Nebraska formed the shores of the Niobrara Sea, a vast shallow waterway that was teeming filled with marine life — including the very dinosaurs and their food supply that, according to some, provided the carbon base for all that sweet West Texas crude. So, I guess it’s fitting to make fish meal in Nebraska, if you think in very long timelines. And it’s a tasty add-on to the economics of biorefineries. Not that the Koch brothers don’t think about renewables and making the world safe for the RFS every day. It’s just that, at Flint Hills, if it’s going to get built, it better work in eyes of the Department of the Precious Benjamins. Supermassive black holes have looser grips on spare change than FHR. #6 KnipBio closes Series B round for its Single Cell Protein: what’s SCP and why is it becoming the hottest development target around? Last January, we reported that the wave of 2017 methane-to-protein advances got a kick-start with news that KnipBio closed a $2M Series B investment round led by Launchpad Venture Group and Cherrystone Angel Group. KnipBio intends to use the investment of up to $2M to advance new product development, continue the aggressive move towards commercial-scale manufacturing of its proprietary fish food ingredient, and further diversify its protein platform. KnipBio has developed a series of naturally occurring microbes that convert low-cost feedstock into premium, nutritious, single-cell proteins laden with pigment-enhancing carotenoids to produce healthier, more vibrant fish. In March, we reported that Dr. Praeger’s Sensible Foods launched Pure Plant Protein, a new meatless product line made from pea protein and vegetables – including carrots, sweet potatoes, butternut squash and black beans. The flavorful soy-free plant-based burgers, breakfast sausage and chicken-less tenders deliver a meaty texture and boost of plant-based protein. High in fiber and protein, with 10 grams or more per serving, all Pure Plant Protein products are soy and gluten free, and are made with high-quality pea protein, three or more vegetables and avocado oil. In February, we reported that Impossible Foods launched a program to help nourish communities where it does business by partnering with food banks that serve those affected by food insecurity. One in seven Americans gets food from food banks, according to the Hunger in America study published by Feeding America, the nation’s network of food banks. The food technology startup is partnering with Alameda County Community Food Bank and Second Harvest Food Bank of Santa Clara and San Mateo Counties to serve plant-based meat to San Francisco Bay Area residents who receive assistance from food bank meal programs. Beginning soon, the Impossible Burger will be served at meal centers in Alameda, Santa Clara and San Mateo counties. Last November, we reported that Après launched a plant-based protein beverage developed for premium whole-body replenishment. The innovative beverage utilizes a proprietary blend of plant proteins, virgin coconut oil and coconut water in a shelf-stable format for convenient on-the-go consumption. Après is made with organic plant protein from pea, chia, cacao and hemp, delivering essential amino acids to promote satiation and a healthy, lean physique. It’s also formulated with organic virgin coconut oil that supplies sustainable energy through metabolic fats, and organic coconut water that provides electrolyte hydration and a silky smooth texture. In May, we reported that Future Meat Technologies announced a $2.2 million seed investment co-led by Tyson Ventures, the venture capital arm of Tyson Foods. Future Meat Technologies is a Jerusalem-based biotechnology company advancing a distributive manufacturing platform for the cost-efficient, non-GMO production of meat directly from animal cells, without the need to raise or harvest animals. “It is difficult to imagine cultured meat becoming a reality with a current production price of about $10,000 per kilogram,” said Prof. Yaakov Nahmias, the company’s founder and Chief Scientist. “We redesigned the manufacturing process until we brought it down to $800 per kilogram today, with a clear roadmap to $5-10 per kg by 2020.” Animal fat produces the unique aroma and flavor of meat that “makes our mouth water,” noted Prof. Nahmias, and Future Meat Technologies is now the only company that can produce this particular fat, without harvesting animals and without any genetic modification. In January, we reported that Tyson Ventures invested in Memphis Meats, a leader in cultured meat produced directly from animal cells. Currently recruiting to expand its team of chefs, scientists, creative people and business people, Memphis Meats expects to use the funds to accelerate product development. “We are excited that Tyson Foods will be joining us in our mission to bring meat to the table in a sustainable, affordable and delicious way,” explained Uma Valeti, M.D., co-founder and CEO of Memphis Meats. “Our vision is for the world to eat what it loves, in a way that addresses today’s challenges for the environment, animal welfare and public health. We are accelerating our work and building out a world-class team to make this a reality.” Tyson Foods joined other notable Memphis Meats investors including industry leaders such as DFJ, Atomico, Cargill, Bill Gates and Richard Branson. In December, we reported that Beyond Meat raised $55 million in a new round led by Cleveland Avenue, LLC, the venture capital firm founded by Don Thompson, former CEO of McDonald’s Corporation. “We see Beyond Meat as a strategic and compelling consumer-focused investment. Customer response to Beyond Meat’s great-tasting products has driven its growth, and we’re excited about our investment as the brand continues to innovate for the future,” said Thompson. Tyson Foods increased their stake in Beyond Meat with this round. “Global demand for all protein remains high and we’re passionate about meeting that demand sustainably,” said Justin Whitmore, executive vice president corporate strategy and chief sustainability officer of Tyson Foods. The Beyond Burger is sold in more than 5,000 stores and these funds will more than triple the size of Beyond Meat’s production footprint, further fund the company’s R&D commitment to perfectly build meat from plants, and expand sales and distribution. In May, we reported that Vivera launched a 100 percent plant-based steak in more than 400 Tesco supermarkets. Made with ingredients like wheat and soy, Vivera started production and expects to produce several million pieces in 2018. Gert Jan Gombert of Vivera said, “With the breakthrough of its market introduction and large-scale production, a large group of consumers can enjoy this very tasty plant-based product. The smell, taste and bite can hardly be distinguished from real steak and we are convinced that this product will meet a large need of consumers.” Vivera has been pioneering in the development of vegetarian and plant-based meal components since 1990. With production of more than 1 million meat replacements a week, it is one of the three largest producers in Europe. The product portfolio includes more than 40 different meat alternatives and Vivera intends to establish a 100 percent plant-based portfolio before the end of 2018. In March, we reported that Perfect Day, a global leader in the science, research, and production of animal-free dairy, raised $24.7 million in funding and received its first patent for the use of animal-free dairy proteins in food applications. These significant milestones underscore Perfect Day’s vision for creating a future-proof source of nutrition and dairy delight for everyone in the world. Co-founder Perumal Gandhi said, “This funding will enable the Company to grow the team, accelerate scale-up efforts, and ultimately, commercialize with a wide variety of partners across the food and dairy sectors.” The Series A raise was led by Temasek, a Singapore state-owned investment company. Temasek’s investment in Perfect Day aligns with the firm’s belief that collective action is needed to achieve the United Nations Sustainable Development Goals by 2030. A growing number of consumers are looking for great taste, simpler labels and alternative sources of protein to solve their personalized nutrition choices. Pea protein offers a non-GMO, Certified Organic, allergen-friendly option that checks all the boxes consumers are looking for in label-friendly products. It’s also compatible with vegetarian and vegan lifestyles. PURIS Pea Protein is known for its superior taste and is produced from peas grown sustainably and manufactured in the United States.